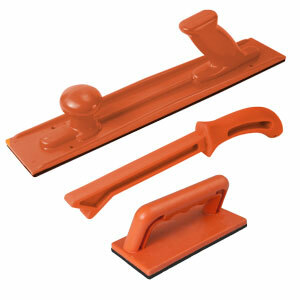 This Heavy Duty Push Stick protects your blades cutting edge and more importantly keeps your hand and fingers out of harms way. 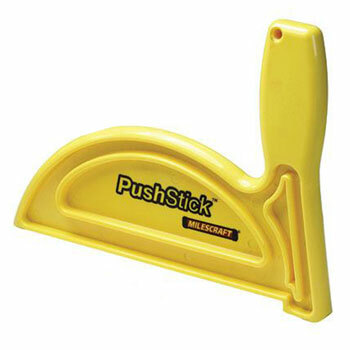 It has two notches that help extend the life of the push stick and make it easier for use on various stock. 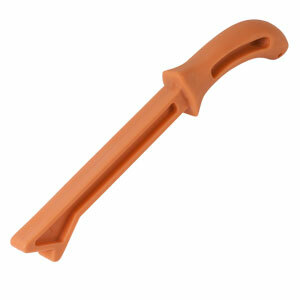 This Push Stick is made with hard durable plastic. Design to help with pushing stock when there is not enough space between the blade and the fence to safely use your hand. 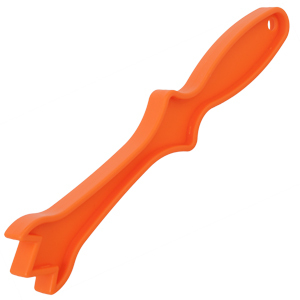 Ergonomically designed handle fits hand "just right"
The ERGONOMICALLY "V" designed push stick provides better control for small pieces while giving you added safety when you guide your wood through your cutting blades. 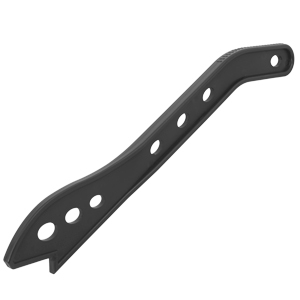 The extra tall handle is tilted inward, away from blade or bit location. Operator's hand is automatically moved further from potential danger. 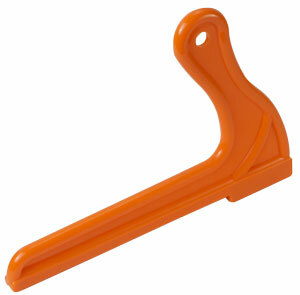 The rear foot hooks over the back end of the material, providing a safer, more positive combination "push-pull" action. Bottom of the Stick is covered in a soft, high-traction polymer coating that prevents PushStick from slipping and avoids scratching and marring the surface of pieces being cut.